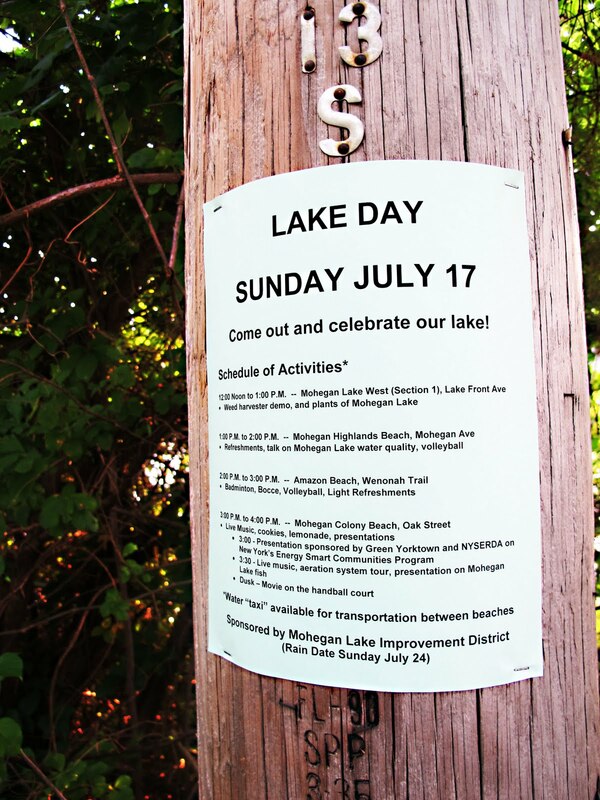 Sunday, July 17, 2011 is Lake Day--sponsored by the Mohegan Lake Improvement District. There are various activities at several beaches. Highlights include, a demonstration of the weed harvester (have you seen it? It's very cool), talks about the health of the lake, volleyball, and a water taxi. 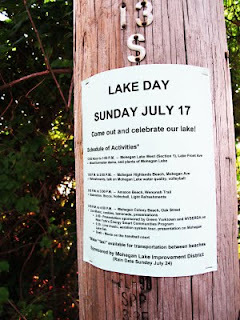 Take a look at one of the various posters up around the lake, as seen below. You can click on and enlarge the image below and should be able to probably read most of it. My contribution to Lake Day will be to raise awareness about snapping turtles. I spotted one in my backyard about a month ago with a shell about 2 feet long (apparently they get much bigger). Below you will find a very short film on how one can safely move a snapping turtle, in case you find one on Mohegan Ave, or in another dangerous situation. I hope you were able to watch the simulcast of the 3 hour long hearing that took place two weeks ago. If not, it will air again every Thursday until August 11th, 2011; that night they will simulcast the next ZBA hearing, in case you can't make it. Channel 20 Cablevision in Yorktown [that includes us up here in Mohegan Lake :)]. Here's two sequential excerpts from the last hearing. I would like to note that while FBC certainly has a special community distinct and apart from the Mohegan Highlands Property Owners Association, they are also--de jure--a part of our community as well. Mrs. Gordon spoke most directly to the concern over the proposed zoning variances: there are too many cars and not enough parking--even after two single family homes are converted to part of the church and a parking lot. This has nothing to do with the proposed new development being a church or its people. This has everything to do with zoning, planning and a unique, lake/hill-side community. More on that later. Objection: Allowing an encroachment of 15 feet into a required 30 foot rear yard will allow the developer to build some portions of the building approximately 33% more than what Yorktown's zoning allows. The present structure accommodates--legally--less than one-third of the population of the proposed new development. Granting a variance to allow such a major increase in occupiable space is imprudent, especially considering the current parking load already exceeds the proposed development's parking capacity. According to the architectural plans on file with Yorktown, section B-B (above) is 60 feet wide. Section B-B requires the 15 foot encroachment. Hence, if the developer was not allowed this major zoning variance, the building would only be 45' at that point; 33% less space.